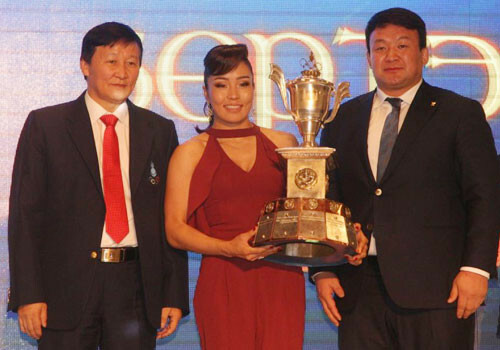 Judoka Sumiya Dorjsuren has been crowned the Mongolian National Olympic Committee’s (MNOC) athlete of the year at the Burte Chono Sports Gala in Ulaanbaatar. Olympic silver medallist Sumiya Dorjsuren of Mongolia briefly halted the Japanese charge before normal service was resumed when Soichi Hashimoto claimed the country's fifth title of the International Judo Federation (IJF) Suzuki World Championships here. Brazil won their first Olympic gold medal of Rio 2016 here today as judoka Rafaela Silva overcame huge pressure to triumph in the under 57 kilograms category in front of a crescendo of chanting, singing and raucous celebrations. Japan’s world champion Misato Nakamura showed her form ahead of the Rio 2016 Olympic Games by winning International Judo Federation (IJF) World Judo Masters gold in the women’s under 52 kilogram competition at the Lopez Mateo Sports Centre in Guadalajara. Japan’s Funa Tonaki announced herself on the world senior stage in style as she stunned top seed Urantsetseg Munkhbat of Mongolia to take women’s under 48 kilograms gold on the opening day of the International Judo Federation (IJF) Grand Prix in Qingdao, China.